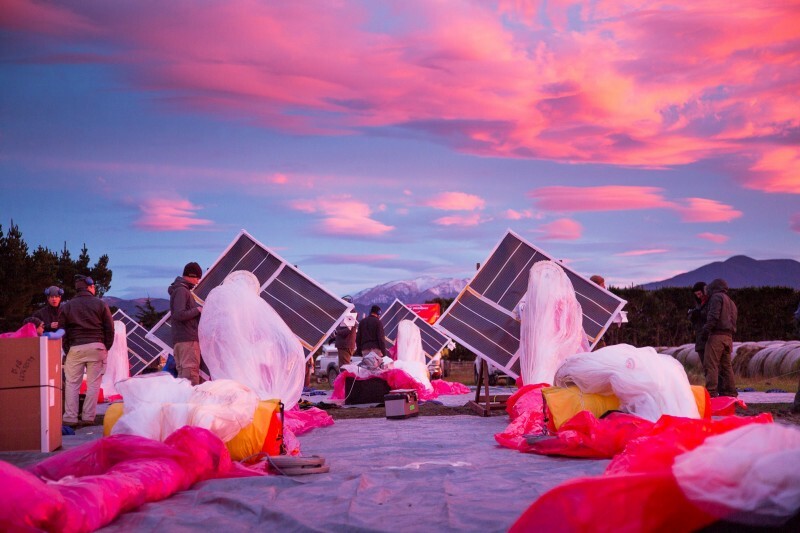 Alphabet’s (Google) Project Loon team has an interesting blog post with some interesting thoughts for R&D managers trying to develop disruptive innovations or moonshots. When you set out to explore a brave, new, weird place that no one’s ever explored before, you bring along a list of things you hope are true and right. And most of the time, you discover that you’re wrong about a lot of those things — which is why I spend so much time talking about failure being a necessary condition of moonshot-taking. I want to help our teams experience this as valuable learning rather than dispiriting setback. After everything falls apart, the failures to act become obvious: Why didn’t somebody at Penn State do more to pursue allegations that former assistant football coach Jerry Sandusky was sexually abusing young boys? Didn’t anybody at MF Global Holdings notice that something was wrong before $1.2 billion in customer cash disappeared? Why, decade after decade, didn’t anyone at Olympus protest $1.7 billion in accounting irregularities? Companies should also establish metrics, routines, audits and incentives to help identify problems and suggest areas of change, says Wharton management professor Lawrence G. Hrebiniak, who has acted as a consultant to dozens of companies such as General Electric, AT&T, Microsoft and DuPont. When top management diligently works to measure performance, elicit feedback and respond openly to problems when raised, it can usually make progress, Hrebiniak has found. “Control systems are important to implementing strategy and identifying problems,” he says. When companies have a culture in which managers are “more interested in hiding things than solving problems,” there is little anyone can do to help, Hrebiniak says. “You need top management to react strongly. If they bury the stuff, they’re dead. On the other hand, it’s not easy measuring risk – something Kaplan acknowledged. What makes risk management so hard, he observed, is that you’re trying to quantify things that may have never occurred and may never occur. “You can’t rely totally on measurement,” he said. Thanks to a slew of popular new books, many executives today realize how biases can distort reasoning in business. Confirmation bias, for instance, leads people to ignore evidence that contradicts their preconceived notions. Anchoring causes them to weigh one piece of information too heavily in making decisions; loss aversion makes them too cautious. In our experience, however, awareness of the effects of biases has done little to improve the quality of business decisions at either the individual or the organizational level. Clearly, some intuition will always be necessary to make decisions about the future. However, should we try to minimize the impact of biases in our decision making? Though there may now be far more talk of biases among managers, talk alone will not eliminate them. But it is possible to take steps to counteract them. A recent McKinsey study of more than 1,000 major business investments showed that when organizations worked at reducing the effect of bias in their decision-making processes, they achieved returns up to seven percentage points higher. Has the team has clearly fallen in love with its proposal and not evaluated other options? (Are credible alternatives included along with the recommendation? If there seems to be Groupthink because dissenting views were not solicited or explored. (Solicit dissenting views, discreetly if necessary). Are the people making the recommendation overly attached to past decisions? Is the team is relying mainly on a memorable success? Is the team assuming that a person, organization, or approach that is successful in one area will be just as successful in another? Do you know where the numbers came from? Can you get better numbers / results from other models? If you had to make this decision again in a year’s time, what information would you want, and can you get more of it now? Is the base case overly optimistic? Is the worst case bad enough? Is the recommending team overly cautious? As the article points out, a key to eliminating decision bias (and literally, the success of all change), is discipline on the part of the R&D manager. If we do not follow the same process that is required of all teams, the biases will never be questioned or eliminated. Stock options are a critical element of CEO compensation — making up one quarter of total pay for executives these days. But what does that mean for the risk profiles of the companies those CEOs lead? The problem is that stock options only work in one way – towards the upside. If the stock price falls below the option value, they are worth zero (not negative). At the heart of that question are two opposing forces: There is a risk-tempering aspect to options, because when those options are “in the money” — meaning the exercise price is less than the current market price — the value of those options moves in line with the stock price. That tends to dampen risk taking because CEOs want to preserve the value of those options. At the same time, however, the downside of risk taking is limited because once the options are worth zero, they do not decline further in value if the stock price falls. And that limited downside increases the tendency to take on risk. Research has shown that senior executives at financial firms have a large part of their compensation in the form of restricted stock — securities that, like straight equity, tend to reduce risk taking. But at the lower levels of those firms — areas like sales and trading — a large chunk of compensation is tied to bonus pools. Like options, those bonus pools have a large upside and limited downside. After all, once the pool is worth zero, managers have little to lose. That sort of compensation does, in fact, encourage risk taking, Gormley notes. Toyota sales have taken a beating after the quality problems of 2010. May 2011 sales declined by almost a third compared to May 2010. May 2010 sales were barely better than those during the depth of the great recession in May 2009 (a 45% drop from 2008). In comparison, Ford’s sales have have actually increased by a third since 2009! Clearly, large organizational problems, such as authority to make decisions etc need to be fixed. However, these problems have not changed for decades. Every time I have worked with large Japanese organizations with large US presence, I have always found significant cultural conflicts. Why did the quality problems start now as opposed to 20 years ago? Is it because of quality control?’ Clearly, Toyota thinks so. In fact, Toyota made a big deal about the new devil’s advocate policy that puts in an additional round of quality control AFTER the car has been fully designed and tested. The ‘devil’s advocate’ approach to vehicle design is a key element of the new Toyota. Under the plan, the company gives engineers four extra weeks to tear down and evaluate new vehicles. The goal is to use the car in ways the owner’s manual doesn’t even consider. That’s because Toyota found out the hard way last year that customers use cars in unpredictable ways. It traced some unintended acceleration cases to gas pedals being jammed by stacked floor mats — an ill-advised practice for which Toyota engineers didn’t plan. As we remarked earlier, the problem does not seem to be arising from a lack of quality control. In fact, Toyota is legendary in its Toyota. If unpredicted customer behavior can be found after the design is completed, why can it not be found before? It would be much easier to fix problems during design rather than after the production has started! As the article above pointed out, the push to fix problems after the design is complete cost a lot more and are never very effective. Toyota and the supplier switched to crisis mode. They designed a new pinchless wiper and the Yaris still made the scheduled start of production in November. “We really had to push hard,” recalled Katsutoshi Sakata, Toyota Motor Corp.’s lead executive for quality research and development. Toyota has a very thorough manufacturing process (the Toyota Way and the Toyota Production System). So, the likely problem lies with design… As [email protected] from the Wharton School of Business pointed out, the key challenge is in the ability to manage increased complexity of new automobiles. MacDuffie: And that creates tremendous demands on the designers, right? Fujimoto: Right, it’s a nightmare for the designers. You have to take on all these constraints. It’s like solving gigantic simultaneous equations involving structures and functions. For example, with the Prius recall, the problem resulted because Toyota tried to improve fuel efficiency and safety and quietness at the same time through a nice combination of very powerful regenerating brakes, plus the latest antilock brake system, plus the hydraulic braking system. But the relationship between the three kinds of brakes changed with the new design, and then drivers could have an uneasy experience when there was switching between the different brakes a little bit…. Toyota failed to see this problem in the right way, at least in the beginning. The Toyota design organization seems to be based on the traditional model of apprenticeship. Where engineers go through years to learn about the design ecosystem (suppliers, their capabilities, integration into overall design, etc.). However, the rate of technology change has increased tremendously – especially when one considers electronics and computers. Since cars are increasingly computerized, waiting for years to learn the system just does not work. Hence, the quality problems are most likely design and R&D culture problems. Toyota recognizes the problems, and has taken steps to reorganize its R&D departments (See Behind the scenes at Toyota’s R&D center Part I and Part II). As the the advisory panel rightly pointed out, Toyota needs to find ways to bring the Toyota Way to R&D. In addition, the company should apply its vaunted Toyota Production System and Toyota Way principles outside manufacturing, the report said. Toyota’s manufacturing error detection, based in part on going to the source of the problem to understand root causes, is “unhelpfully narrow,” the report said. This manufacturing approach is “not applied rigorously enough” in vehicle design, corporate governance, customer feedback and regulatory affairs, the report said. 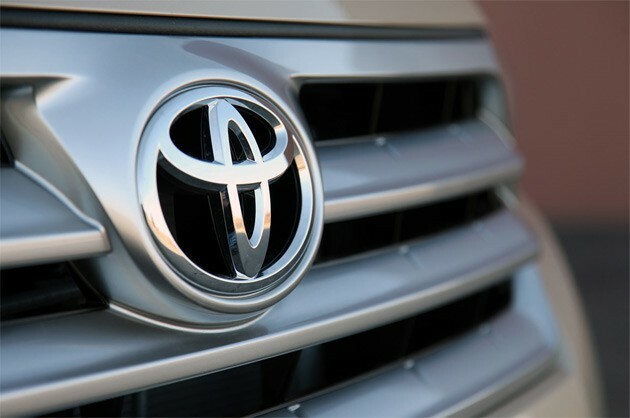 Article first published as Toyota’s !uality Improvement Changes Aren’t Enough on Technorati. (1) Define what failure looks like for growth investments—specify when and why disinvestment should occur. Then stick to the plan. This is quite intuitive, but I have been consistently surprised at the lack of clearly defined goals/objectives for R&D projects. This lack of discipline always results in goal creep, waste of resources and reduction in R&D team morale. (2) Upgrade your growth investment process by shifting analytical resources away from up-front screening toward life-cycle analysis. Create a ‘learning loop’ for management by dedicating staff to mid-cycle and post-completion project evaluations. Cycle discipline is intuitive but difficult to recreate in a large, complex corporation. Less than 10% of the companies we examined exhibited this kind of financial savvy for more than a few consecutive years at a time. Companies that are able to consistently grow sales and improve margin across multiple business cycles realize a 4.4% compound total shareholder return (TSR) advantage relative to industry returns over pure growth leaders, and a 5.4% compound TSR advantage over pure margin leaders. An interesting article from Sloan about How to Manage Risk (After Risk Management Has Failed). The article is talking about risk management in financial companies, but probably applies even more to R&D. Yet at these companies, and at others with comparable “cultures,” risk management apparently performed quite dismally. How could this be? We contend that the answer lies in the concepts and practices of traditional risk management, which tend to look for risk in all the wrong places. That is, failure did not stem from merely paying lip service to risk management or from applying it poorly, as some have suggested. Instead, collapse resulted from taking on overly large risks under the seeming security of a risk-management approach that was in fact flawed. The traditional “frequentist” approach is based entirely on the historical record. The alternative “Bayesian” approach incorporates judgments to complement historical data. The Bayesian perspective provides more powerful and accurate results. It is surprising that even many advanced R&D organizations delegate risk management to the quality control organization. Many quality engineers are removed from detailed R&D activities and identify risks mainly based on past history of similar products. So, as the article points out, R&D risks are identified based on historical failures (frequentist approach). However, new products often bring new failure modes that are not anticipated from older products. For example, electronic accelerators in Toyota resulted in uncontrolled acceleration. Quality engineers had failure modes and effects only for legacy mechanical accelerators. Hence, traditional risk management would not be able to identify these new failure modes. A better way to address this situation is the integrate risk assessment into the R&D process directly. Engineers can then identify failure modes that they are concerned about and estimate risks based on their judgement (expert opinion). Results from testing can then be used to validate and enhance risk judgments using Bayesian statistics. This concurrent risk assessment is much better than increasing on quality control after the design is complete. Hence, this approach (unlike Toyota’s Devil’s Advocate Process) will improve quality AND reduce costs. One way to think about it is the following: imagine you stand on a field and you have a soccer ball and you kick it. You close your eyes and you kick it and then you open your eyes and you try to predict, where did the ball fall? Imagine you do this a thousand times; after a while you know exactly the relationship between your kick and where the ball is. Those are the conditions in which intuitions are correct—when we have plenty of experience and we have unambiguous feedback. That’s learning, right? And we’re very good at it. But imagine something else happened. Imagine you close your eyes, you kick the ball, and then somebody picked it up and moved it 50 feet to the right or to the left or any kind of other random component. Then ask yourself, how good will you be in predicting where it would land? And the answer is: terrible. The moment I add a random component, performance goes away very quickly. And the world in which executives live in is a world with lots of random elements. Now I don’t mean random that somebody really moves the ball, but you have a random component here, which you don’t control—it’s controlled by your competitors, the weather; there’s lots of things that are outside of your consideration. And it turns out, in those worlds, people are really bad. So what is the solution? We should experiment more and test our gut feelings before we go all out and implement a pervasive solution. This actually, I think, brings us to the most important underutilized tools for management, which [are] experiments. You say, I can use my intuition, I can use data that tells me something about what might happen, but not for sure, or I can implement something and do an experiment. I am baffled by why companies don’t do more experiments. I think the reason why many R&D executives I know do not experiment more is the lack of information – both about factors driving the decision and potential impacts of the decision. For example, executives are normally forced to rely on gut feelings to decide future R&D investments. It is difficult to experiment because R&D projects are interlinked. It is difficult to see the impact of changing one program on all the other linked programs. Funding decisions also need to satisfy a multitude of often conflicting requirements. There are no tools to quickly understand the impact of investments of staffing or on competitive position. Even when information is available, it is normally at the wrong level of detail to actually make a difference. We need tools to help executives experiment effectively in R&D management.